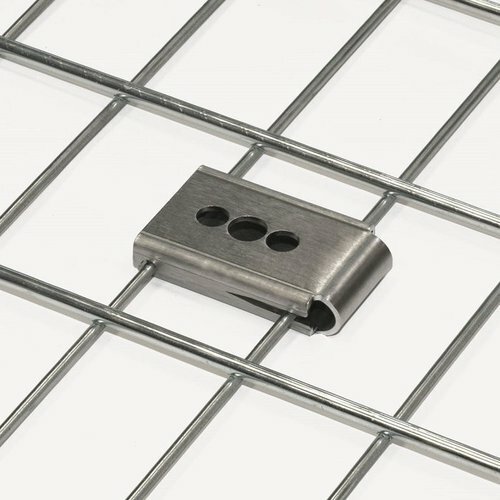 The CMP Wire Mesh Cable Tray / Basket Clips are manufactured from 316L Stainless Steel and are designed to allow cable cleats to be safely installed on to wire mesh cable tray and / or basket. The CMP basket clip has one M12 and two M10 clearance holes, and slides over the mesh wires of the tray or basket to provide a secure fixing surface for the cable cleat to be attached to. The CMP wire mesh cable tray / basket clips have been tested during short circuit conditions as specified in IEC 61914 ‘cable cleats for electrical installations’.